Labeled as “a factory of sweet music” by the Spanish newspaper “El Mundo,” the band, Los Bohemios Perdidos, stays true to its Latin American roots, interpreting popular rhythms such as Caribbean nueva trova, bossa nova, bolero, albazo, baguala, and Cuban son, among others. 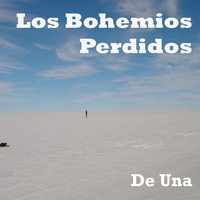 The first album of Los Bohemios Perdidos,”De Una,” is greatly influenced and inspired by the Latin American social song movement of the 1960’s and 1970’s. Based in Austin, Texas, the group has played several world music festivals, protests, and performs in several venues around town. The band is led by Carlos Ufret and Javier Jara, whom in the summer of 2016 became Latino Artists in Residence at the Emma S. Barrientos Mexican American Cultural Center. As such, Los Bohemios Perdidos will perform a series of concerts showcasing a wide variety of Latin-American rhythms and melodies, with new arrangements of emblematic songs, and original compositions reflecting the wealth and diversity of Latin-American musical traditions, from the Río Grande to Tierra del Fuego. Born and raised in Ecuador, Javier fell in love with music as a young child when relatives would bring their guitars to family gatherings, playing and singing Latin American folk music. Inspired by this experience, he now writes music as a form of both political and social activism. He counts as influences such iconic artists as Victor Jara, Mercedes Sosa, Silvio Rodriguez, Chico Buarque, and Atahualpa Yupanqui, among other popular Latin American musicians. Javier plays the guitar and sings. Javier holds a Bachelor of Music degree in classical guitar performance from Southwestern University, a Master of Music degree in Music and Human Learning and a Texas Teaching Certificate from the University of Texas, where he worked at the String Project both as guitar instructor and coordinator. He currently teaches classical guitar and Latin American music at Manor Middle School (Manor ISD). Carlos Ufret hails from Puerto Rico. During his growing-up years, he enjoyed listening to his father’s classical records, to rock artists and folk artists, as well as the traditional music from Puerto Rico. During his high school years, Carlos played in various hard rock and folk music bands, while also learning how to play in the classical style. December 1998, and from that point through July 2000, taught guitar lessons at the CMPR’s Extension Program. He also holds a Master of Music degree from Indiana University’s (IU) School of Music in Bloomington, IN. During his years of study there, Carlos served as an associate instructor of guitar for IU’s guitar department. Ufret has enjoyed playing and teaching in the Austin area for almost 10 years now. With Bohemios Perdidos he gets the opportunity to offer his own take on some of the music that inspired him to pick up a guitar in the first place.